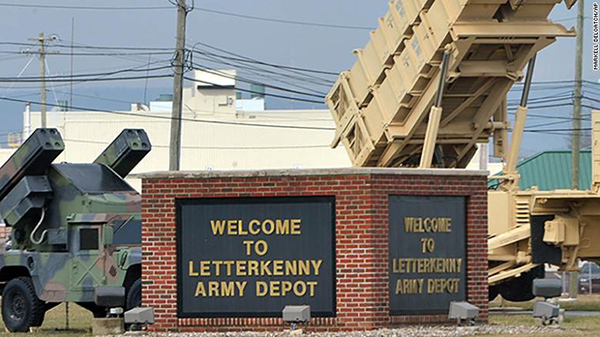 Three NFFE-IAM Local 1429 members have been seriously injured after an industrial explosion and fire Thursday morning at Letterkenny Army Depot in Chambersburg, PA. The members were taken via medivac to a Maryland hospital in serious condition. Two more victims whose identities are unknown were taken to Chambersburg (PA) Hospital. One has since been released and the other is in unknown condition. It is unclear whether those two victims are bargaining unit members. IAM Local 321 and NFFE-IAM Local 1442 also represent members at the base. The incident occurred in the paint and prep area of Building 350. Base command has closed the building until at least the evening of Sunday, July 22. The IAM is monitoring the situation and coordinating with local union officers. The IAM will be providing updates as the situation develops.